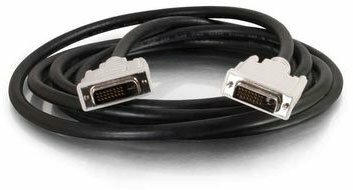 The 26911 is a DVI-D Male - Male Dual Link Digital Video Cable from Cables To Go. This Dual Link Digital Video Cable is designed to be fully compliant with the DVI standard defined by DDWG using TMDS signaling. The DVI-D dual link configuration gives enough bandwidth for resolutions up to 2560x1600 pixels and allows high speed digital video transmission up to 9.9 Gbps. The cable has 28 AWG individually insulated copper conductors to minimize crosstalk, and ensure high-speed, error-free transmission and Tri-shielded undermold and braid shield protects against unwanted EMI/RFI interference. 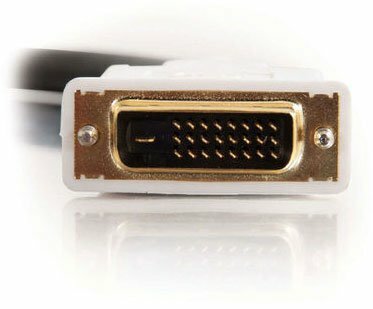 The cable is PC and Mac compatible and supports hot-plugging of DVI display devices. 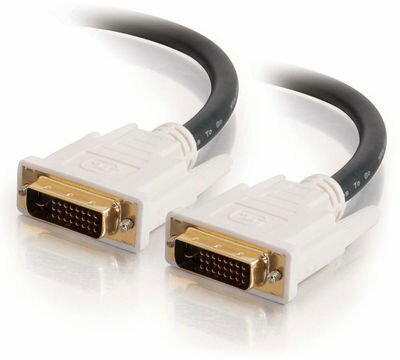 C2G 26911 Black 6.5 ft. Connector 1: DVI-D Dual-Link 24-pin Connector 2: DVI-D Dual-Link 24-pin M-M DVI-D M/M Dual Link. 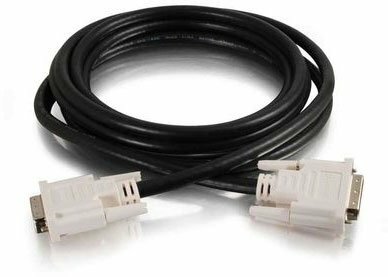 Cables To Go 26911 Black 6.5 ft.